Lifestyle Environment 05 Feb 2019 Check your compass! The magnetic north pole is on the move and so is the south, the latter moving far slower than the former. Washington: North isn't quite where it used to be. Earth's north magnetic pole has been drifting so fast in the last few decades that scientists say that past estimates are no longer accurate enough for precise navigation. On Monday, they released an update of where magnetic north really was, nearly a year ahead of schedule. The magnetic north pole is wandering about 34 miles (55 kilometers) a year. It crossed the international date line in 2017, and is leaving the Canadian Arctic on its way to Siberia. The military depends on where magnetic north is for navigation and parachute drops, while NASA, the Federal Aviation Administration and US Forest Service also use it. Airport runway names are based on their direction toward magnetic north and their names change when the poles moved. The US National Oceanic and Atmospheric Administration and United Kingdom tend to update the location of the magnetic north pole every five years in December, but this update came early because of the pole's faster movement. 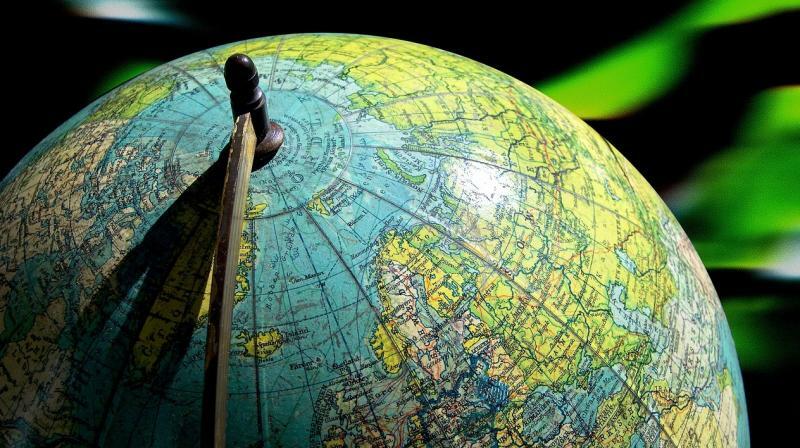 The movement of the magnetic north pole "is pretty fast," Chulliat said. "It has changes akin to weather," Lathrop said. "We might just call it magnetic weather." The magnetic south pole is moving far slower than the north. In general Earth's magnetic field is getting weaker, leading scientists to say that it will eventually flip, where north and south poles will change polarity, like a bar magnet flipping over. It has happened numerous times in Earth's past, but not in the last 780,000 years. Lathrop sees a flip coming sooner rather than later because of the weakened magnetic field and an area over the South Atlantic has already reversed beneath Earth's surface. That could bother some birds that use magnetic fields to navigate. And an overall weakening of the magnetic field isn't good for people and especially satellites and astronauts. The magnetic field shields Earth from some dangerous radiation, Lathrop said.